Home/About Braces/How Do Braces Work? 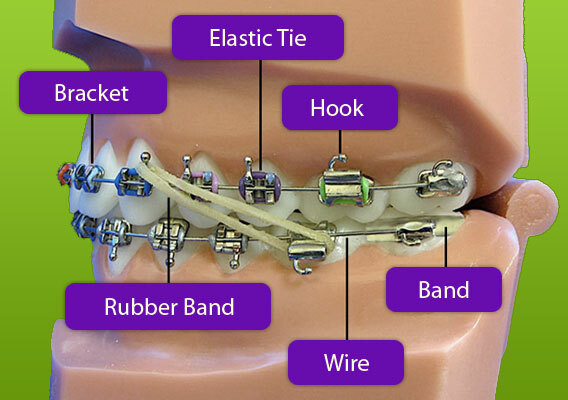 Braces use gentle, constant pressure to move teeth into their proper positions slowly, over time. Since they are permanent (well, at least until the day they come off) they work around the clock, including during sleep. The wire threads through the brackets and, as the wire tries to return to its original shape, it applies pressure to move your teeth. Since during orthodontics, teeth are actually moved through bone, all movement does not occur overnight. Depending on the type of adjustments made, teeth usually move between 1 and 2 millimeters each month. Drs. Berkman and Shapiro use only the latest and most modern orthodontic technologies, ensuring that their patients receive the most gentle, comfortable, and efficient treatment. Orthodontics, the oldest of the dental specialties, focuses on the diagnosis and treatment of dental and associated facial irregularities. Orthodontic treatment allows us to bring the teeth and jaws into harmony three-dimensionally. The results of orthodontic treatment can be dramatic-beautiful smiles, improved dental health, and an enhanced quality of life for people of ALL ages. Drs. Berkman and Shapiro follow the recommendation of the American Association of Orthodontics, which recommends an orthodontic screening for each child at age seven or about the time of the eruption of the upper permanent front teeth. This permits the identification of any developing problems as well as the initiation of any indicated interceptive treatment. In the majority of cases, treatment will not begin until much later. However, because of the instances in which a child would benefit from treatment at a younger age, it is important that everyone be at least evaluated at an early age. Knowledge of developing problems combined with right-on-time treatment brings peace of mind to the parent and the child. The most profound treatment results come from the correction of growth imbalances. This is one of the reasons that it is most beneficial to screen for problems around the age of seven – while there is still significant remaining facial growth remaining. Adults can be treated at any age. It is never too late to enjoy the benefits of a beautiful smile. Some adults have missing teeth which may cause abnormal movement of the remaining teeth. Some may have had braces earlier in life, but teeth have shifted out of their original position. Many adults never had orthodontic treatment, and could benefit greatly from a beautiful, healthy smile. 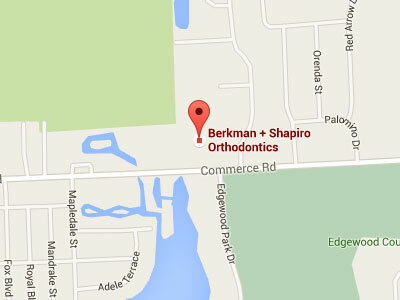 Dr. Berkman and Dr. Shapiro enjoy treating patients of ALL ages: children, adolescents, and adults. They are happy to provide comprehensive initial examinations at no charge.